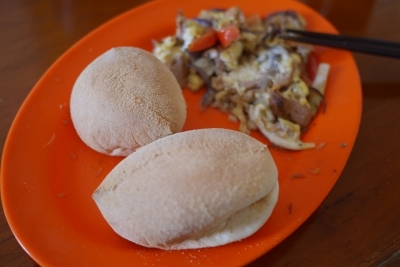 Before departing, I eat “salt bread”, it has a sweet-and-salty taste and is a basic morning meal in Manila. 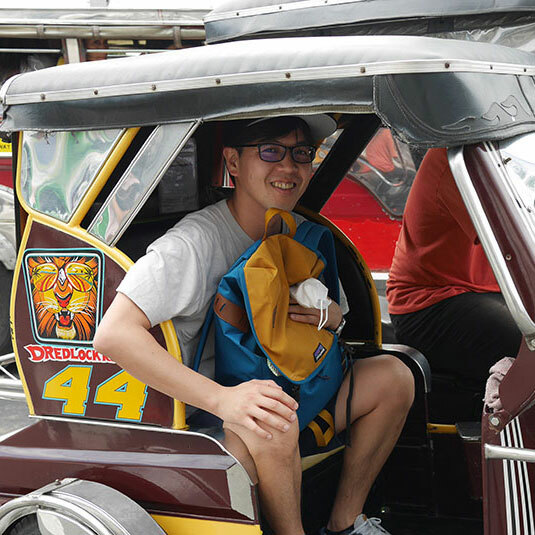 Riding a three-wheeled taxi known as a tricycle, on the way to Cubao in Quezon city. 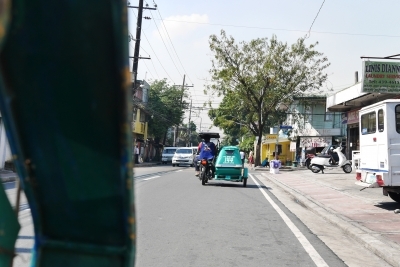 This is the view from the tricycle. The vehicle running in front of me is also a tricycle. Arriving at Artery Art Space. This is the art space, complete with gallery, residence, shop and bar. Wait a minute, haven’t I been here before? 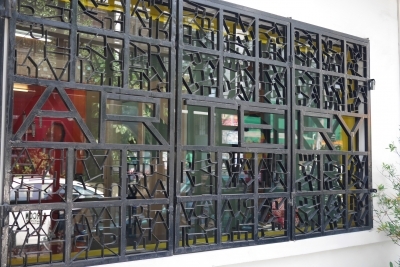 … Could this be Art Center Ongoing in Manila!? I go inside and try to start my research. *You know, my English is poor. If you find any misinterpretations in these reports, please feel free to point them out. SORRY! Arvin （left） and Mai （right） welcome me. They are the directors of “Artery Art Space”. Arvin and Mai are also artists. They both studied art in New York, United States. 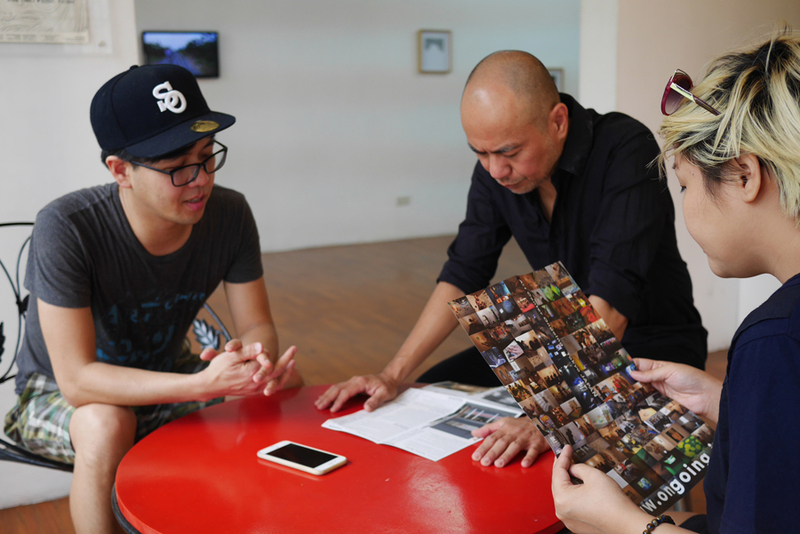 On coming back to the Philippines however, they found the art scene to be less alternative than commercial. Deciding that they wanted to do something more challenging and unusual, they opened Artery Art Space in 2014. 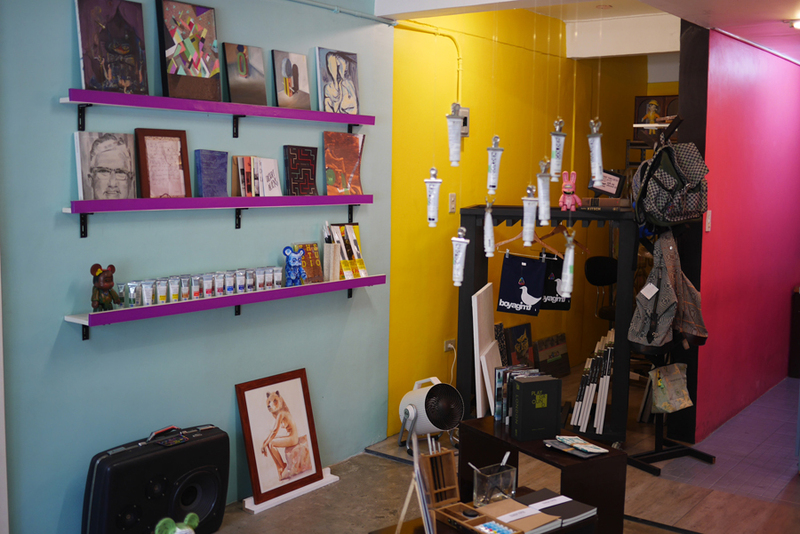 On the first floor of the concrete building, there is a shop selling small art works, art goods, art books and art materials. On the second floor, there is a snack bar serving drinks and light refreshments as well as a main gallery space. In addition, this building also has a residence space （unfortunately I couldn’t see it this time）, where foreign artists can stay, holding an exhibition at the end of their residency. Hmm, something feels somehow familiar. This is the shop on the first floor. This is the bar on the second floor. The illustration of Andy Warhol is fantastic. When I show ARVIN and Mai Art Center Ongoing’s English flyer, they seem to be very interested and say “We want to make Artery Art Space a place where creators can gather just like this”. 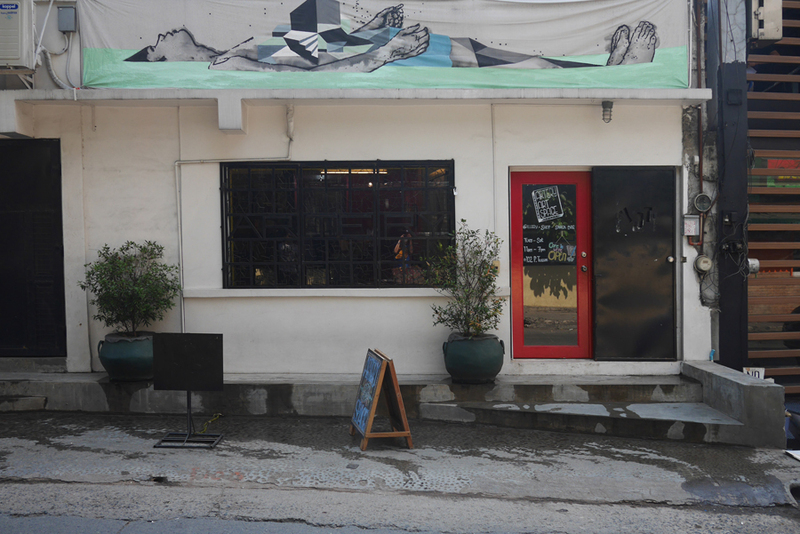 As we keep talking, I discover that the space is not only especially for artists, but that it also sometimes serves as a venue for events such as performances, workshops, film screenings and artist talks. 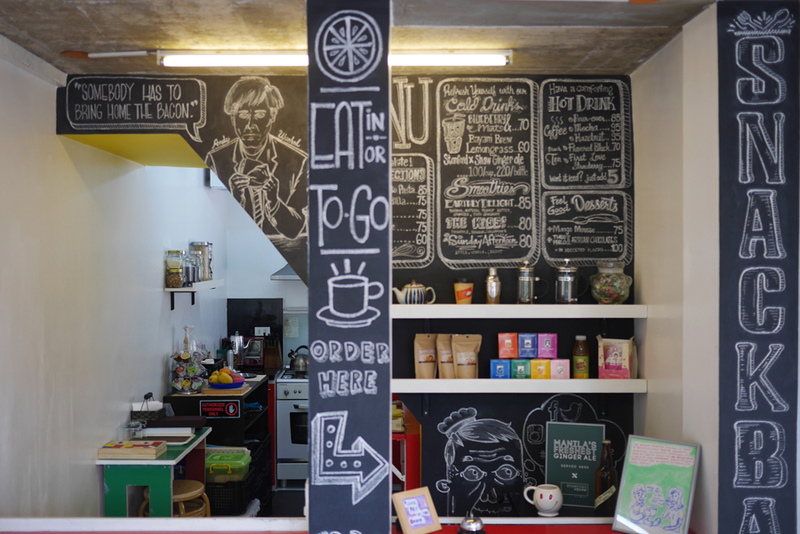 Many locals also often visit, such as ordinary families and students on their way home from school, as well as local shop owners stopping by for after-work refreshments. What an ideal place!!! At the end of the visit, we take a picture together! If you come to Manila, please stop by here. I’m sure you’ll be able to meet these friendly two artists in this stylish space. Today I also visited two other spaces, but it’s getting too long so I will introduce them tomorrow.